My friend Jack emailed to me for an answer to the questions above. Converting WMV to 3GP nowadays has been a rare thing since most devices and players now accept MP4. People could easily convert video to MP4 for almost all devices and players. But there are indeed needs that require video to 3GP conversions. Here in this guide, we would like to recommend you 2 practical solutions on how to convert WMV to 3GP video. Short for Windows Media Video, WMV is a file extension compressed with one or more of Microsoft’s video compression formats. It’s a common format used to store video in Windows, which is why some third-party programs use it for things like short animations. WMV consists of three distinct codecs: The original video compression technology known as WMV, was originally designed for Internet streaming applications, as a competitor to RealVideo. The other compression technologies, WMV Screen and WMV Image, cater for specialized content. Created by the 3rd Generation Partnership Project Group (3GPP), a file with the 3GP file extension is a 3GPP Multimedia file. The 3GP video container format was developed with the intention to save on disk space, bandwidth, and data usage, which is why they’re often seen created from, and transferred between, mobile devices. 3GP is mostly used by mobile phones previously. Both WMV and 3GP files could be played by many media players like Windows Media Player, VLC, DivX Player, KMPlayer, MPlayer, etc. 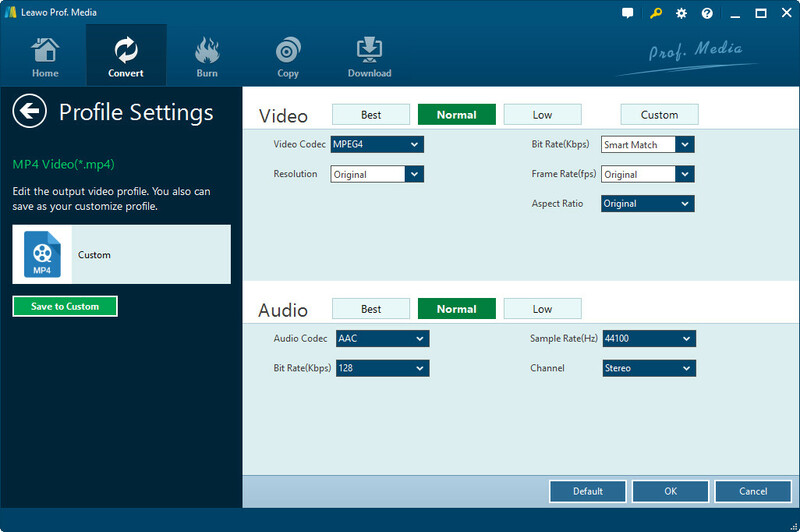 If you want an all-inclusive media player to play back WMV and 3GP files, we would like to recommend you Leawo Blu-ray Player, a comprehensive media player that could play back Blu-ray, DVD, ISO file, video and audio files on your computer without any quality loss. 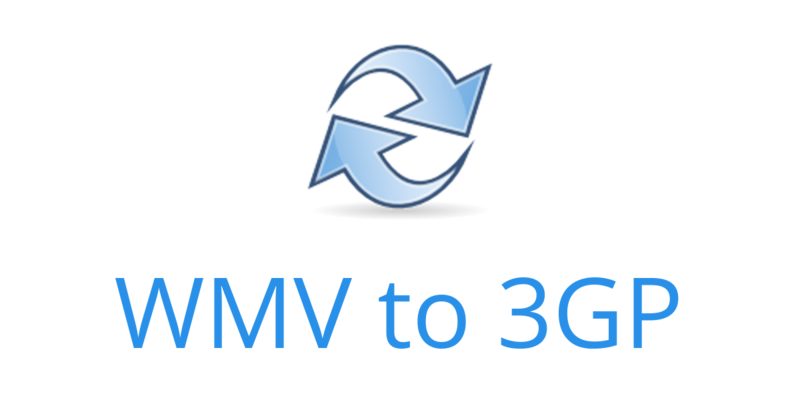 Sometimes you may need to convert WMV to 3GP for playback on mobile phones. Therefore you need to make use of WMV to 3GP video converter tool, which would be discussed in detail below. Leawo Video Converter helps you easily convert WMV to 3GP in several simple clicks. Being one of the top-notch video converters in the world, Leawo Video Converter has been widely welcomed by worldwide users. It is capable of converting video and audio files between 180+ formats like WAV to MP3, MP4 to MOV, FLV to AVI, AVI to WebM, etc. Not only convert WMV to 3GP, Leawo Video Converter even allows you to edit WMV video files before you start the WMV to 3GP video conversion. Download and install Leawo Video Converter on your computer. 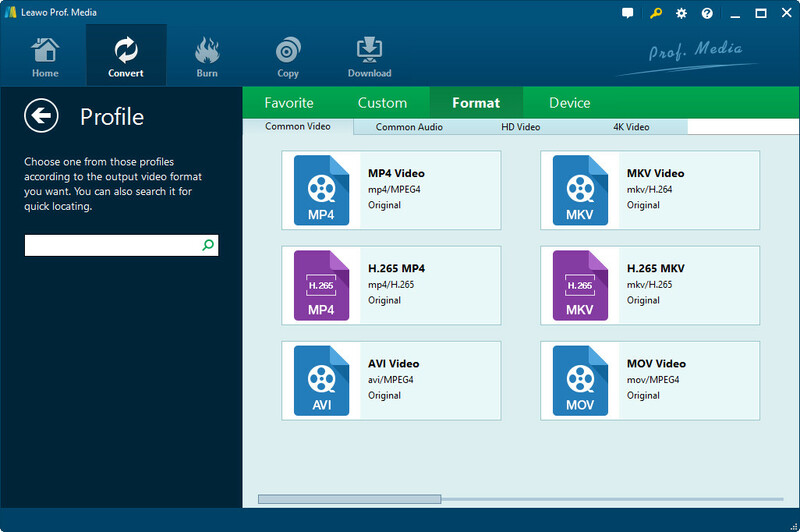 Launch it and follow the below steps to learn how to convert WMV to 3GP videos in detail. On the home interface, click the “Video Converter” option. Then, click the “Add Video” button to browse and load source WMV files on the “Convert” panel. Click the drop-down box right before the big green “Convert” button and then choose “Change” button. Choose 3GP Video from “Format > Common Video” group as output format. Re-open the drop-down menu mentioned above and then click “Edit” option to enter the “Profile Settings” panel, where you could adjust video codec, video quality, bit rate, aspect ratio, frame rate, audio codec, audio quality, sample rate, channel, etc. This is optional. After setting output profile, go back to the main interface. Click the big green “Convert” button and then on the popup sidebar set output directory in the “Save to” box. Finally, hit the bottom “Convert” button to start converting WMV to 3GP within this WMV to 3GP video converter. It will take you a few minutes to finish the conversion. WMV to 3GP converter online would also be useful in converting WMV to 3GP video. simply search on google for online video converter and then you will be provided with multiple tools. Here we would like to take Convert-Files for example to show you how to convert WMV to 3GP online. Check the below steps carefully. And follow these instructions to learn the detailed operation. 1. Open this online WMV to 3GP converter. You will find that it’s a totally free WMV to 3GP video converter online. 2. Click the “Select a File” button to browse and upload WMV file from local drive to this site. 3. Under the “Convert to MP4″ box, choose “3PG Format” as output format. 4. Set the “Quality” and “Size” options. 5. Click the “Convert” button. 6. This site would ask you to download converted file to your computer. This free WMV to 3GP video converter online would help you convert video and audio files between most popular formats like WMV, 3GP, MP4, MP3, AVI, MOV, MKV, etc. It’s a totally free video converter online. Leawo Video Converter handles all video and audio conversions offline, which means it doesn’t require Internet connection. And also, Leawo Video Converter provides more bonus features besides video and audio file conversions only, like internal video editor, applying 3D effect, selecting subtitles and audio tracks, adding image or text watermark, turning photos into slideshow video, batch conversion, etc. On the other hand, online video converters are usually free of charge, and requires no downloading and installation. But online video converters have another disadvantage. That’s file size limitation. Most online video converters offer free service in limited file size. And when the size is too large, these free online video converters may require you to upgrade to Pro versions, which charges you high.